"Well, you need a man who'd know the historical background, and you'd need a man with a powerful creative imagination, who is used to using it inside rigorously defined limits." — H. Beam Piper, "Crossroads of Destiny"
Writer and Piper biographer John F. Carr, who edited four collections of Piper's short stories in the 1980's, has (co-)authored several sequels to Piper's Paratime novel Lord Kalvan of Otherwhen . 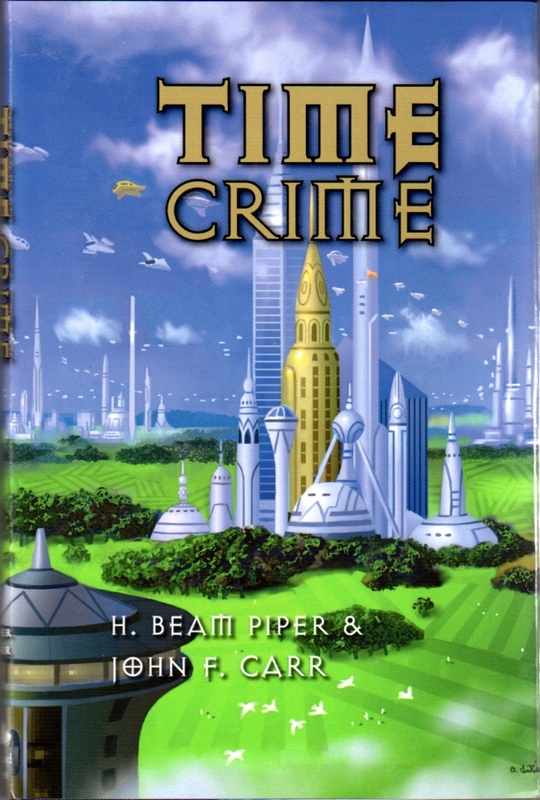 Carr has also expanded Piper's 1955 Paratime novella "Time Crime" into a full-length novel . Carr's Pequod Press has issued the definitive editions of each of these works. 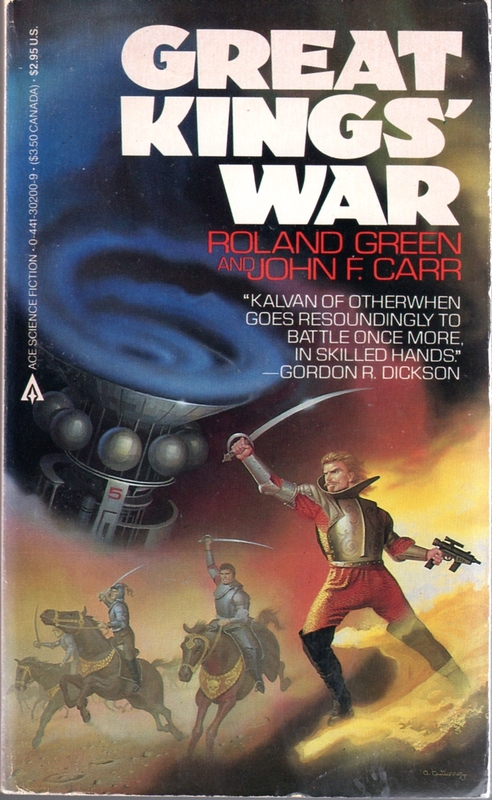 Great Kings' War by Roland Green and John F. Carr, Ace 1985, cover illustration by Alan Gutierrez. Great Kings' War , Roland Green and John F. Carr, New York: Ace, 1985, with cover illustration by Alan Gutierrez. In 1985, Ace published an authorized sequel to Piper's Paratime novel Lord Kalvan of Otherwhen, written by Roland Green and John F. Carr. 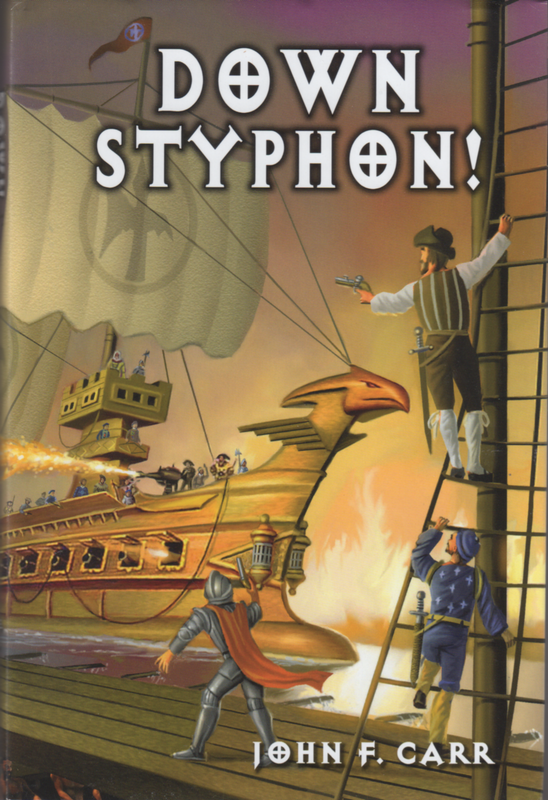 In 2006, Pequod Press released an expanded version of Great Kings' War . 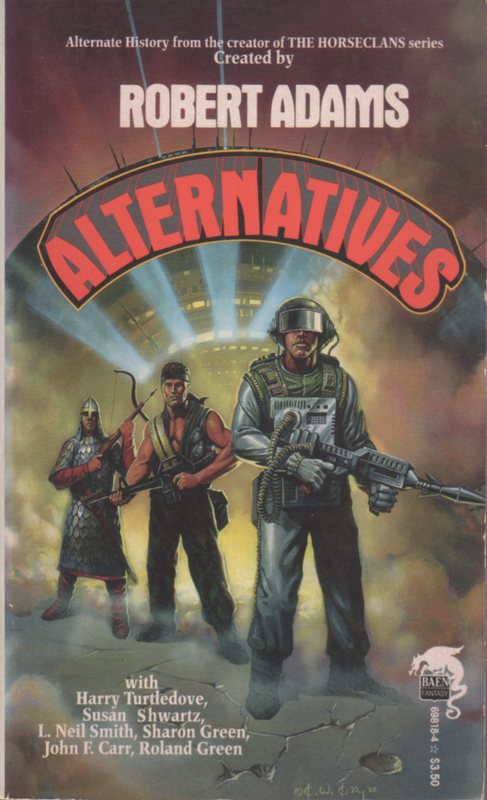 Alternatives, Baen 1989, unrelated cover illustration by Ken Kelly. "Kalvan Kingmaker," Roland Green and John F. Carr, short story published in Alternatives , Robert Adams and Pamela Crippen Adams, eds., New York: Baen, 1989, with unrelated cover illustration by Ken Kelly, pp. 233-312. This short story, available only in this anthology, is a sequel to Great Kings' War by Green and Carr, and was incorporated into Carr's novel Kalvan Kingmaker. 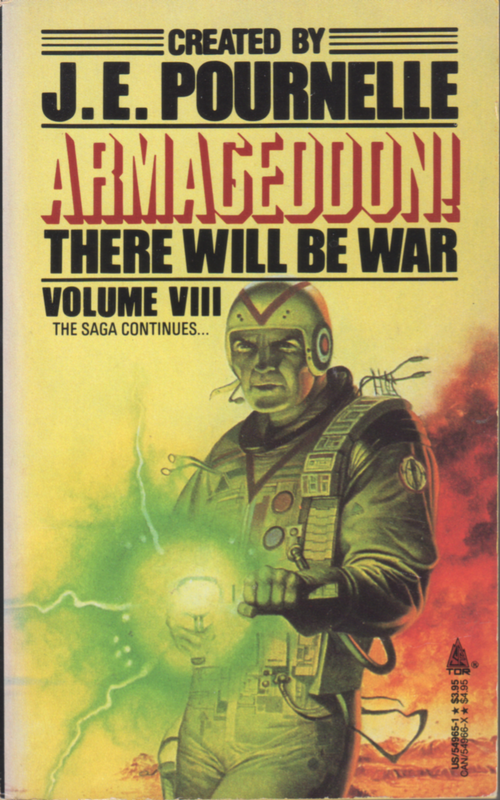 Armageddon!, Tor 1989, unrelated cover illustration by Les Edwards. "Siege at Tarr-Hostigos," Roland Green and John F. Carr, short story published in Armageddon! (There Will Be War, Vol. VIII) , Jerry Pournelle and John F. Carr, eds., New York: Tor, 1989, with unrelated cover illustration by Les Edwards, pp. 300-368. This short story, available only in this anthology, is a sequel to the short story "Kalvan Kingmaker" by Green and Carr, and was incorporated into Carr's novel Siege of Tarr-Hostigos. 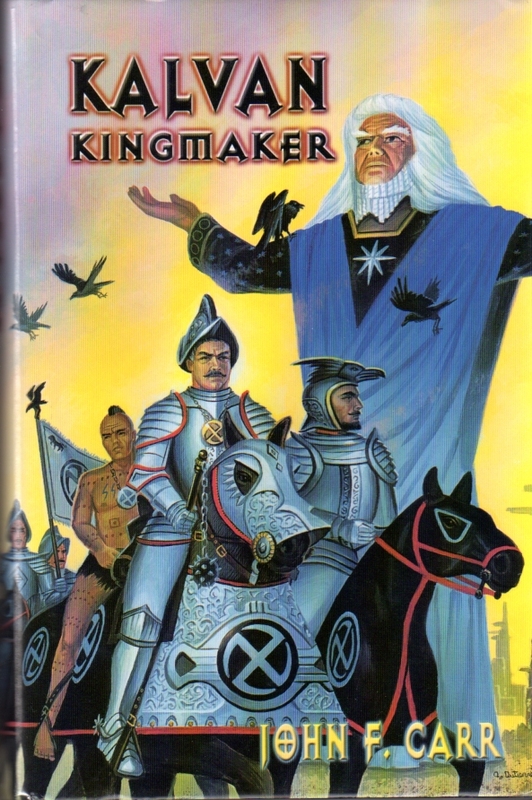 Kalvan Kingmaker, by John F. Carr, Pequod 2000, dust jacket illustration by Alan Gutierrez. Kalvan Kingmaker , John F. Carr, Boalsburg, PA: Pequod Press, 2000, with dust jacket illustration by Alan Gutierrez. An expanded version of the 1989 short story "Kalvan Kingmaker" by Green and Carr, Carr's sequel to 1985's Great Kings' War continues the story line begun in Piper's Lord Kalvan of Otherwhen. 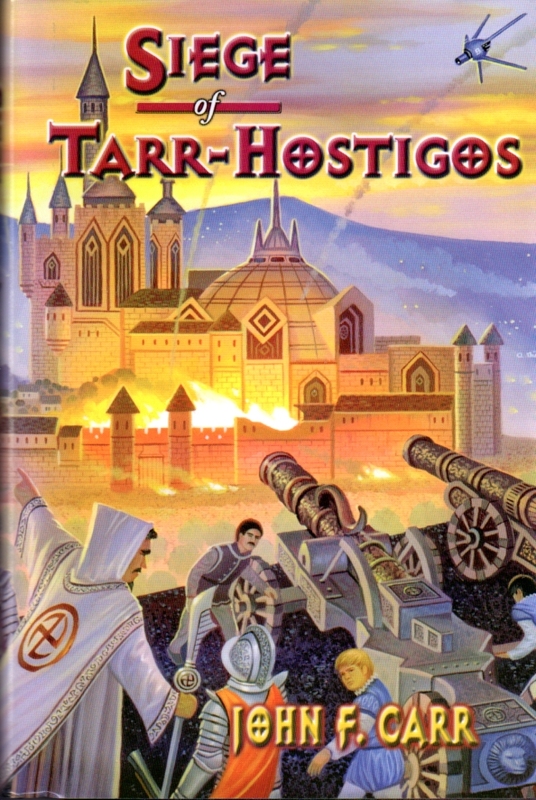 Siege of Tarr-Hostigos, by John F. Carr, Pequod 2003, dust jacket illustration by Alan Gutierrez. Siege of Tarr-Hostigos , John F. Carr, Boalsburg, PA: Pequod Press, 2003, with dust jacket illustration by Alan Gutierrez. An expanded version of the 1989 short story "Siege at Tarr-Hostigos" by Green and Carr, Carr's sequel to 2000's Kalvan Kingmaker continues the story line begun in Piper's Lord Kalvan of Otherwhen. 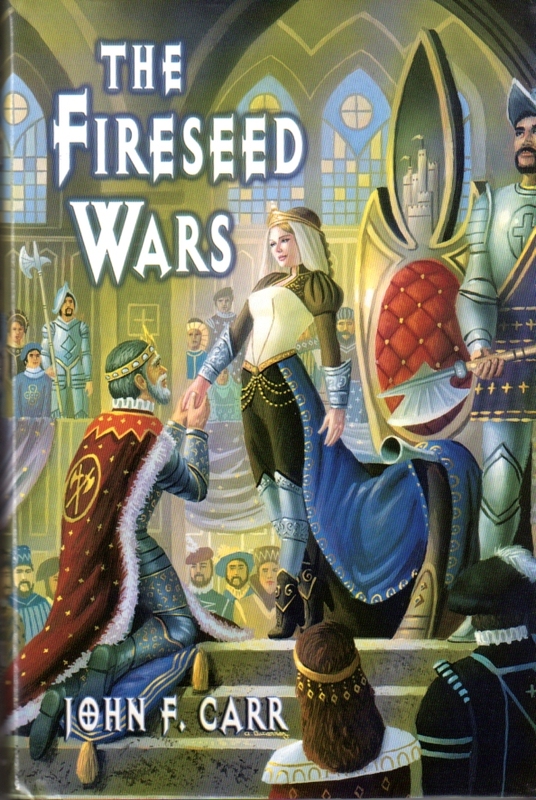 The Fireseed Wars, by John F. Carr, Pequod 2009, dust jacket illustration by Alan Gutierrez. The Fireseed Wars , John F. Carr, Boalsburg, PA: Pequod Press, 2009, with dust jacket illustration by Alan Gutierrez. Carr's sequel to Siege of Tarr-Hostigos continues the story line begun in Piper's Lord Kalvan of Otherwhen. Time Crime, by H. Beam Piper and John F. Carr, Pequod 2010, dust jacket illustration by Alan Gutierrez. Time Crime , H. Beam Piper and John F. Carr, Boalsburg, PA: Pequod Press, 2010, with dust jacket illustration by Alan Gutierrez. This novel, Carr's expanded version of Piper's 1955 novella "Time Crime," better integrates the original story with the "First Level" story line begun in Piper's Lord Kalvan of Otherwhen and continued in Carr's sequels. 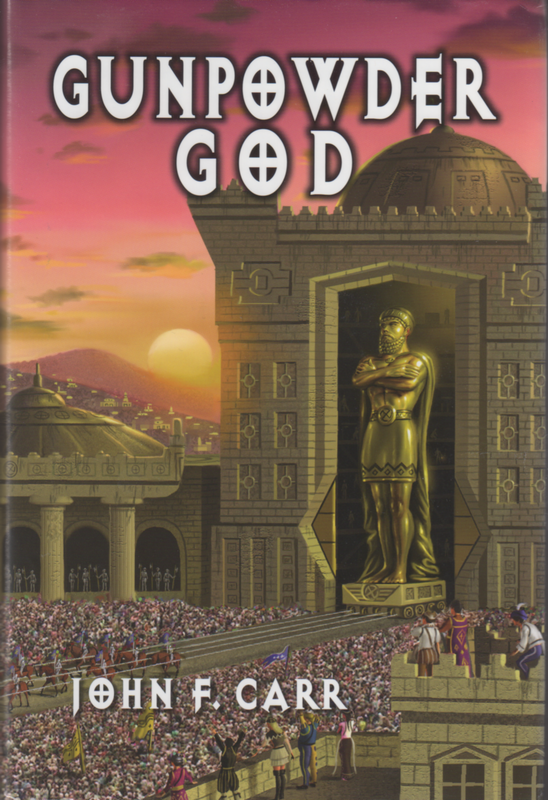 Gunpowder God, by John F. Carr, Pequod 2013, dust jacket illustration by Alan Gutierrez. Gunpowder God , John F. Carr, Boalsburg, PA: Pequod Press, 2013, with dust jacket illustration by Alan Gutierrez. Carr's sequel to The Fireseed Wars continues the story line begun in Piper's Lord Kalvan of Otherwhen. The Hos-Blethan Affair, by John F. Carr and Wolfgang Diehr, Pequod 2015, dust jacket illustration by Alan Gutierrez. The Hos-Blethan Affair , John F. Carr and Wolfgang Diehr, Boalsburg, PA: Pequod Press, 2015, with dust jacket illustration by Alan Gutierrez. 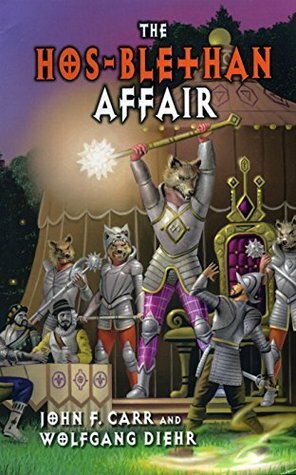 This "sidebar" novel, set at the same time as events portrayed in the novel Siege of Tarr-Hostigos, continues the story line begun in Piper's Lord Kalvan of Otherwhen. Down Styphon! by John F. Carr, Pequod 2016, dust jacket illustration by Alan Gutierrez. Down Styphon! , John F. Carr, Boalsburg, PA: Pequod, 2016, with dust jacket illustration by Alan Gutierrez. The final novel in Carr's Lord Kalvan of Otherwhen sequels. Paratime Trouble by John F. Carr, Pequod 2017, dust jacket illustration by Alan Gutierrez. 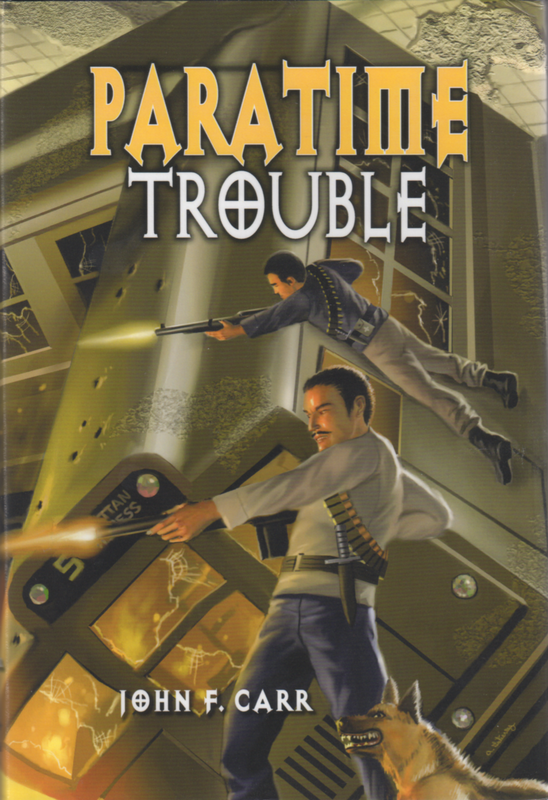 Paratime Trouble , John F. Carr, Boalsburg, PA: Pequod Press, 2017, with dust jacket illustration by Alan Gutierrez. A new Paratime adventure featuring Hadron Dalla and Verkan Vall.